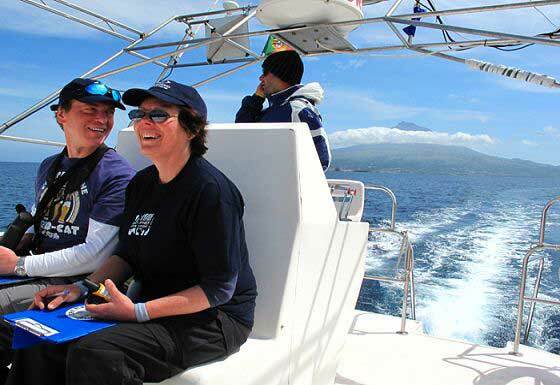 This whale, dolphin and turtle conservation expedition will take you to the remote and spectacular Azores Archipelago in the middle of the Atlantic Ocean to study whales, dolphins and loggerhead turtles. 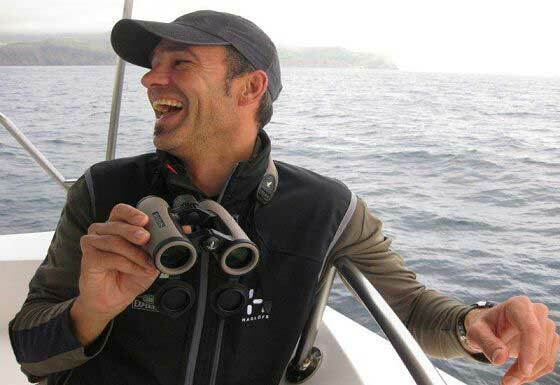 You will photograph sperm, blue, fin, Sei, humpback and minke whales, as well as bottlenose and Risso’s dolphins you come across and record them for local and international monitoring databases. You will also listen to whale and dolphin vocalisations. 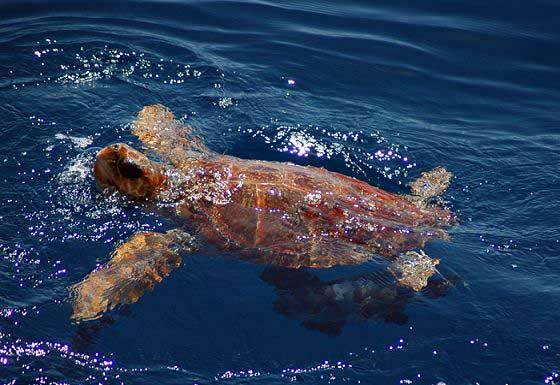 If sea conditions allow, you may also capture loggerhead turtles in the open ocean using nets and then measure, tag and release them as part of an international tagging programme. 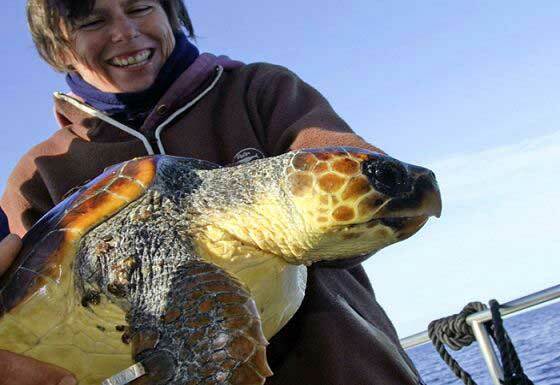 All this in an effort to elucidate the animals’ life histories and migration patterns across the oceans and assist with the formulation of effective conservation and management strategies. 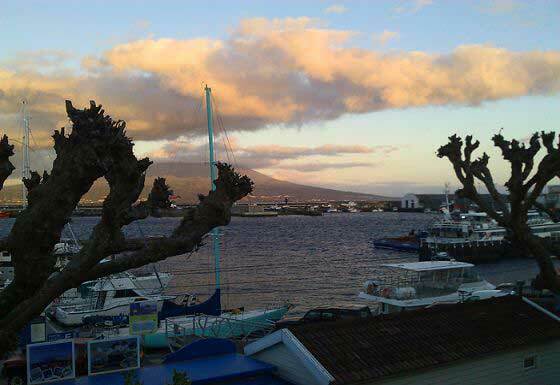 You will spend the day on a modern catamaran research vessel out at sea and your evenings and nights at an historic and comfortable guesthouse in the town of Horta on Faial Island. Boat-based project with nights onshore. Mild maritime Mediterranean. The average temperature during the expedition months is 16°C. 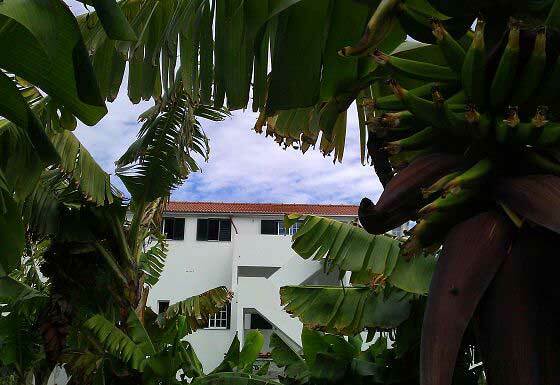 Our base is an historic manor house, converted into a comfortable guesthouse with all modern amenities (including showers, toilets, kitchen, lounge and garden). 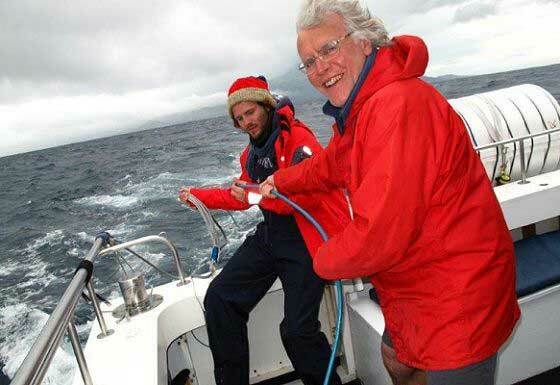 Most work is boat-based, so you do not need to be particularly fit, but it is important that you are steady on your feet, have reasonable eyesight and have no medical conditions affecting your sense of balance or ability to hold on when the sea is bouncy. We will walk approximately two kilometres to and from the harbour each day. 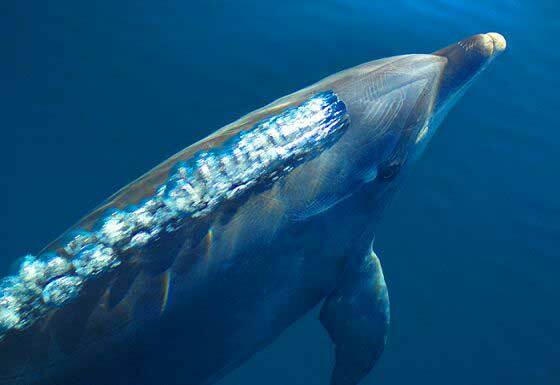 The Azores archipelago is one of the prime whale and dolphin hotspots in the world and around 30% of the world’s known cetacean species have been recorded there. 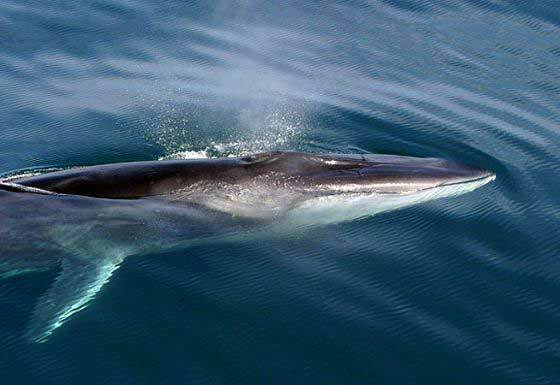 For management purposes, the International Whaling Commission (IWC) has included the Azores archipelago in the East Greenland and Iceland stocks, but there is little evidence to support this. 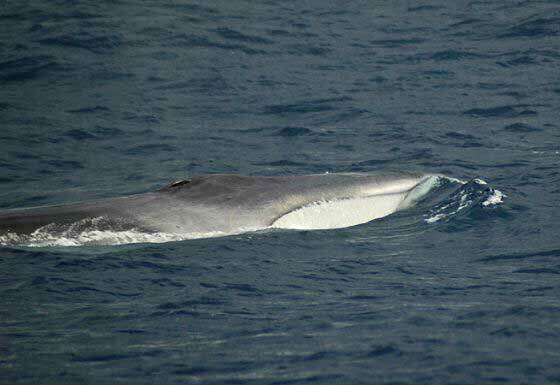 The expedition initiated the first long-term concerted study on baleen whales in the Azores. 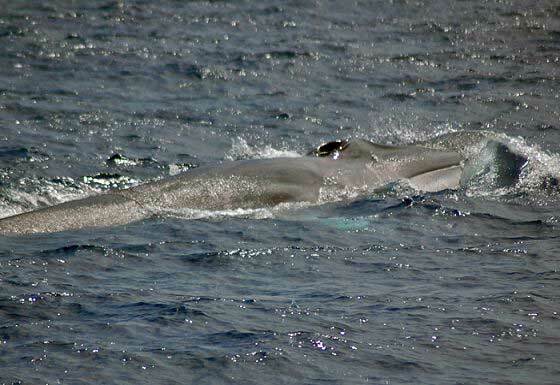 These animals in particular have not been studied around the Azores and accurate knowledge of the origins of the baleen whales passing the archipelago during spring migrations between March and May will help to determine which stocks they come from and assess more accurately their true numbers (which are often inflated in efforts to set hunting quotas). 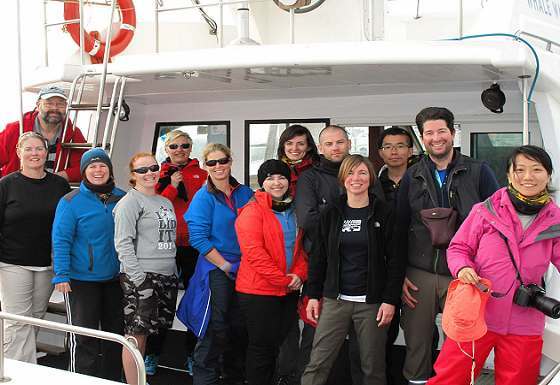 The expedition will also continue existing sperm whale, bottlenose and Rissos’s dolphin studies. The sperm whale study is part of a larger migration and social study, and the dolphin study is in the early stages of assessing animal numbers and migratory behaviour around the archipelago. 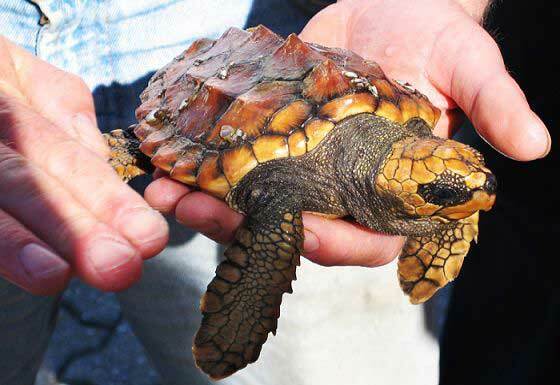 Loggerhead turtles will also be studied and tagged as part of an international research project studying their life history and migration around the Atlantic. 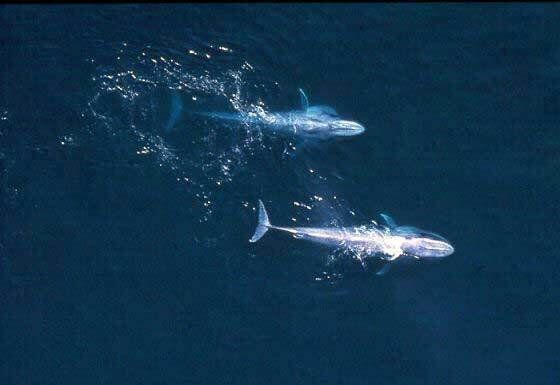 The project is important, because it contributes significant amounts of data towards an increased understanding of the population dynamics on different cetacean species, in particular the migrating baleen whales, as well as the sperm whales, but also resident dolphin populations. Given that there are hardly any whale watching or research vessels out at sea prior to May, the data provided during the expedition extends the field season and hence also the dataset, which gives valuable insights into cetacean species movements and behaviours at this time of year. Through photo-identification of dorsal fins and flukes of both whale and dolphin species, individuals can be matched both within the Azores and beyond. As such, our work helps to elucidate actual movement patterns of migrating species, including how long they remain around the Azores archipelago when travelling in between feeding and breeding areas. Our data also help detail geographical distribution of the resident populations, indicating important feeding and resting grounds. Data sharing and collaboration with numerous international institutions and experts ensures that these data can be interpreted in a wider Atlantic context. Other landmark species present: common dolphin, striped dolphin, pilot whale, orca, false killer whale, Cuvier’s beaked whale, Sowerby’s beaked whale. Breakfast will be between 07:15 and 08:30 with the boat leaving the harbour at around 09:00 and returning between 15:00 and 16:00, depending on weather, sightings and other conditions. 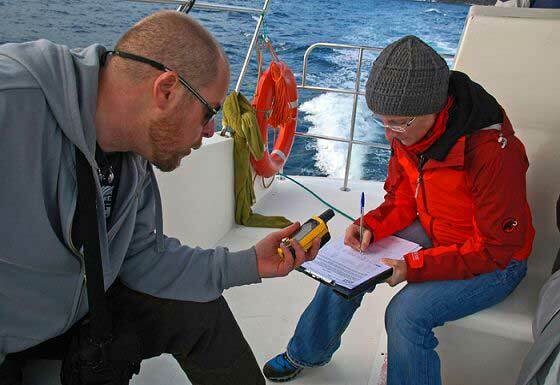 On board you will be divided into different activities such as animal spotting, taking photo ID photographs, tracking whales by hydrophone, recording their blow rates, capturing and tagging turtles, measuring water parameters, recording seabirds or boat duties with team members rotating through activities. 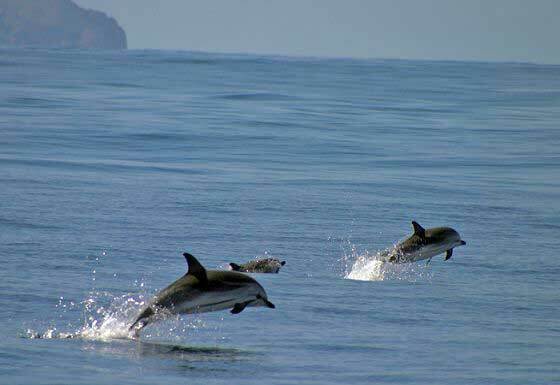 On a typical day we should spend between 20 minutes and five hours with animals, but there may be days with no animal sightings at all (during a typical slot you can realistically expect to see between four to eight different cetacean species and many more individuals). You will also have some rest time, for example when you are not on animal spotting watch and there are no animals to be photographed or recorded. Your rest time, however, could be interrupted by frantic activities with all hands on deck, at a moment’s notice. For example when we come across a school of dolphins, which needs to be photographed and recorded, or a turtle, which needs to be caught, measured and tagged. Once we return to the harbour in the afternoon, you will help with mooring and cleaning the boat, cleaning dishes, entering data collected during the day onto computers back at base, and you will have some time to yourself. Some evenings are free, so bring some books and games, or you can go out for a drink. On choppy weather days, the boat will stay in the harbour and you will have the option of helping with data entry or resting. There will also be some suggestions for activities around the island (for example hiring a car or a scooter for a drive, going on a tour, or hiking around the volcano), which you can then organise yourself. 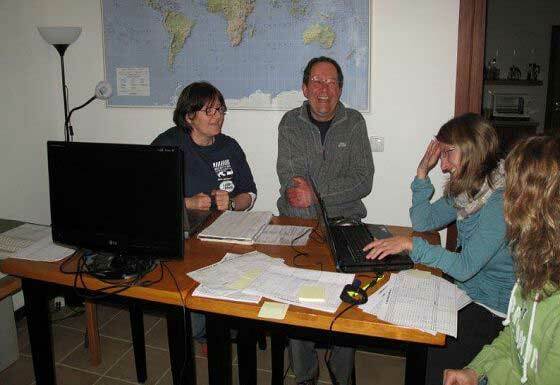 Out of eight full days spent in Horta on each slot, we have two dedicated shore days for rest and computer work. More such days may occur on each slot, because the weather is unpredictable. 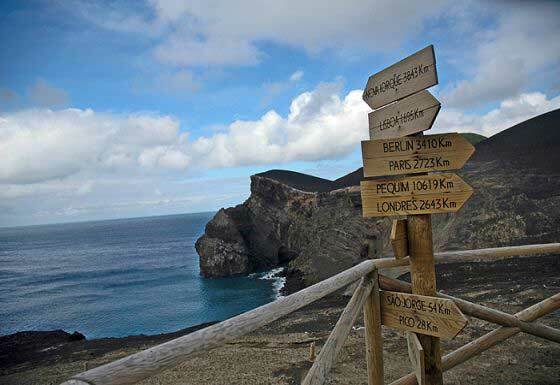 The Azores archipelago is Europe’s westernmost point and part of Portugal. It consists of nine distinct islands, lying on the same latitude as New York and Lisbon, and is around 1,600 kilometres off the coast of Portugal. 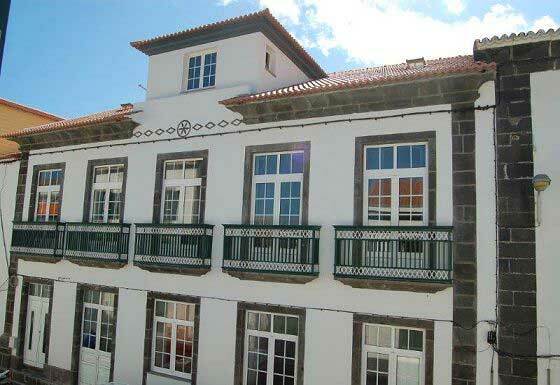 Lying on the mid-Atlantic ridge, the islands display spectacular volcanic scenery, impressive black lava sea cliffs and, towering above them all, the highest mountain in Portugal on the island of Pico. The volcanic activity continues with bubbling mud pools and hot mineral pools on São Miguel and Teceira islands and you can walk on land that rose from the sea just 50 years ago. The countryside also has a gentler side with large areas of green fields, distinctive hydrangea hedgerows and forests. 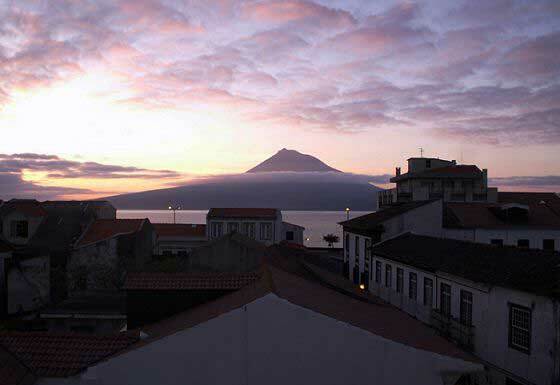 The Azores were discovered in 1427 by Portuguese explorers and colonised shortly after by people of mainly Portuguese and Flemish descent. During the 20th century the islands were an important stopover point for undersea communications cables, trans-Atlantic flights and yachtsmen. Today their main income is from agriculture and fishing. Mainstream tourism has all but passed by the islands. This expedition was honoured in the "Top Ten Outdoor Pursuits" list in The Independent on Sunday. This expedition was also honoured in the "Best Ten Wildlife Holidays in Europe" list in The Guardian. 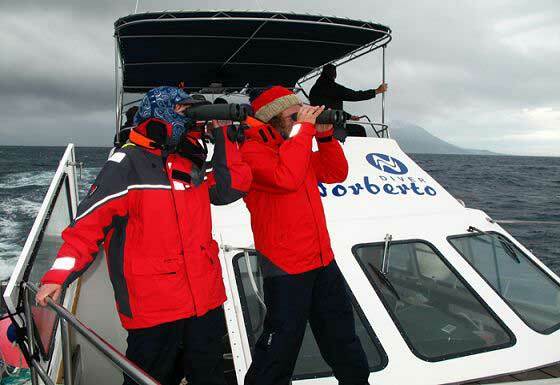 This expedition was also honoured in the "Top Ten Rare Wildlife Encounters" list in The Telegraph. This expedition was also honoured on Islands magazine Voluntourism Blue List where it won the "Best in Sustainable Travel" award. 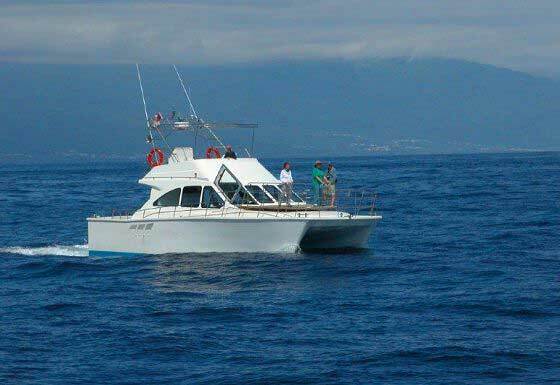 This whale, dolphin and turtle volunteer conservation project has collected valuable information on the movements of whales & dolphins around the Azores since 2004 and provided confirmation of previously theorised migratory routes. 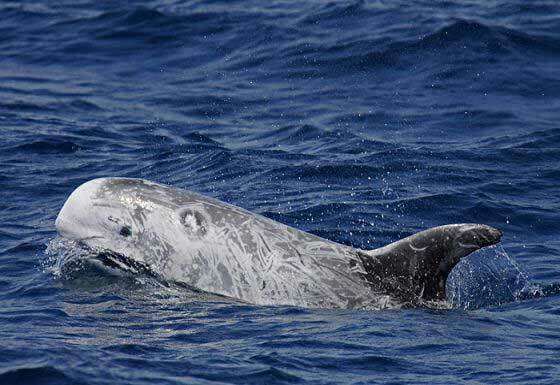 Prior to Biosphere Expeditions there was virtually no data on any type of cetacean in the Azores during spring. 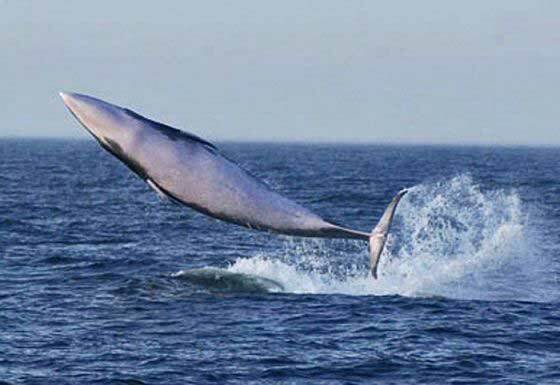 Some highlights have been two blue whales seen in two separate years, indicating that at least some of them use the same migration route. 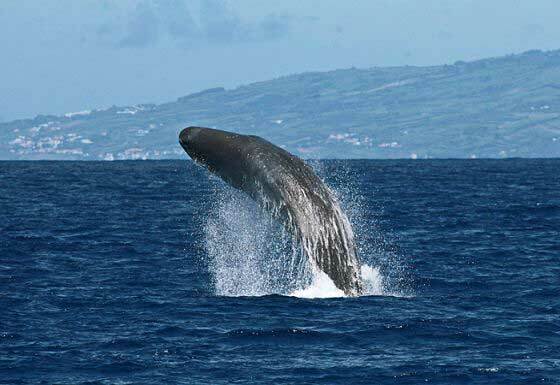 Three humpback whales that were identified by the expedition in the Azores have been re-sighted in the Cape Verde Islands, providing a valuable link as to where individuals passing the Azores breed. 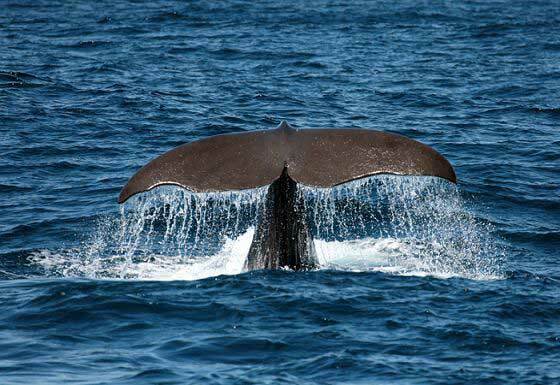 Around 500 sperm whales have been identified over the years. There are indications that some of the sperm whales seen during the expedition tend to be present more in the autumn/winter/spring, instead of the summer. This has given rise to a "winter whales" theory, which will be investigated further. Because of results that have been published and disseminated, there is enthusiasm from other biologists to collect more photo-ID of the animals they are watching. 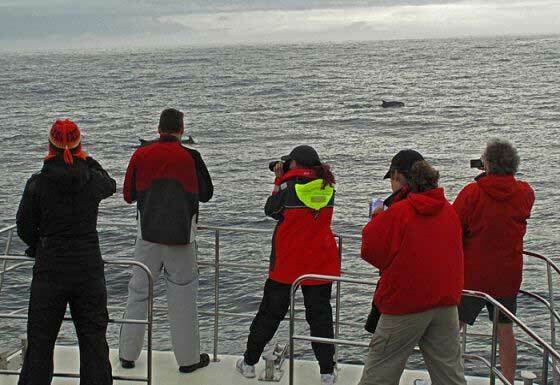 Whale watching operators have started to work before the main season to observe the migration of the baleen whales past the islands. The sperm whales that have been re-sighted during Biosphere Expeditions in the spring have created the incentive for future studies that will take place in the winter, via the “Winter Flukes Project”. Finally, a placement programme for local students has built local capacity since 2011. Lisa Steiner, local scientist, Azores. "It was one of my most exciting travels I've had for years. And perfectly planned! Thank you very much!"